Seeking to head off a growing firestorm of community anger, the Arroyo Grande City Council has announced a special meeting Saturday at 1 p.m. to discuss the job performance of City Manager Steve Adams. It will be the third such analysis of the embattled manager’s “job performance” since he was discovered by police in a darkened City Hall office July 3 in what was later described as an “uncomfortable situation” with a subordinate, Teresa McClish, the city’s community development director. The late-night incident, first reported by CalCoastNews, was later minimized by Adams, McClish and Mayor Tony Ferrara, who took public issue with police officers’ version of events, suggesting reports were tainted by ongoing labor negotiations. That resulted Thursday in a vote of no-confidence in Adams and Ferrara by the police officers’ association, and the filing of a formal complaint with the city council against the pair. By slating the weekend special meeting, council members may be hoping to offset planned public displays at Tuesday’s regularly scheduled meeting. 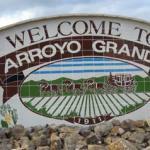 Who fashioned the Arroyo Grande coverup? Love the opening line “Seeking to head off a growing firestorm……”. Seems to me if Teresa hadn’t been thinking along those lines late one night she wouldn’t be on her knees packing boxes today! Oh the irony. I’m stickin’ around to see what happens next. Maybe John Wallace can fill his shoes (since he doesn’t wear any around the office)?